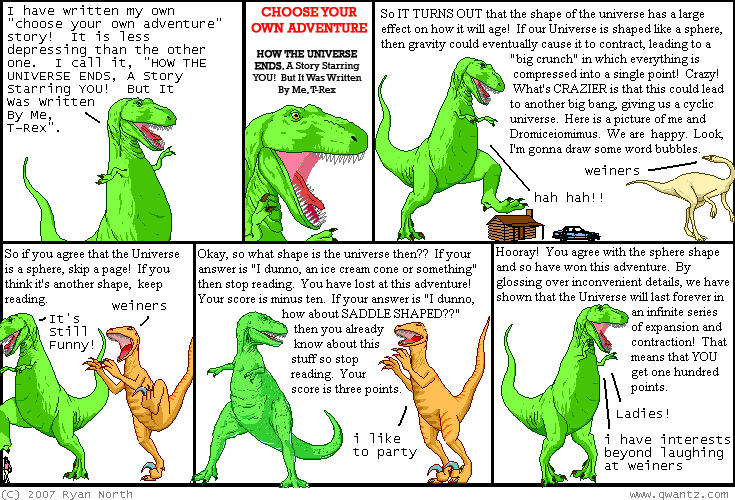 Dinosaur Comics - July 19th, 2007 - awesome fun times! July 19th, 2007: I am a big fan of Nedroid, where you can read all sorts of great comics. I was going to link to a few here, but THEY ARE ALL GOOD, which is amazing. I've linked to Nedroid before but this time is for his 200 Bad Comics, in which he's drawn, as you might expect, 200 bad comics. But what is this? They are not actually bad! You will laugh!